Have you ever wondered about giving keyboard or mouse input commands through one computer system and viewing its results on another computer system? Well, this sounds pretty exciting and the good news is that Windows 10 allows you to experience this magic. 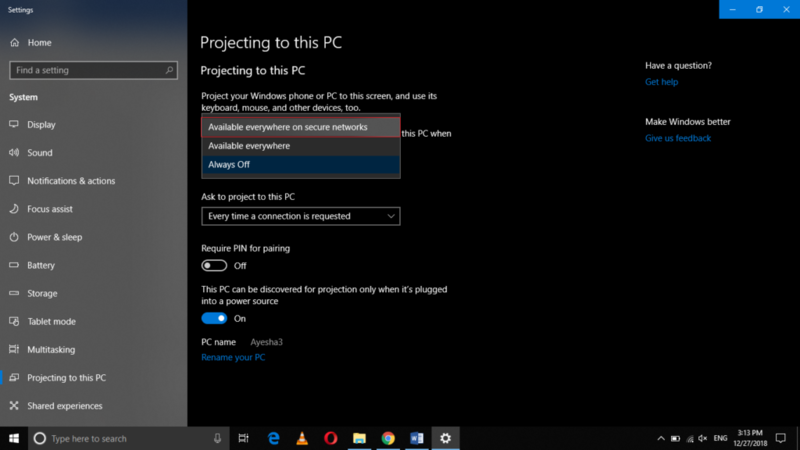 In this article, we will explain to you the method through which you can turn your Windows 10 PC into a wireless display. 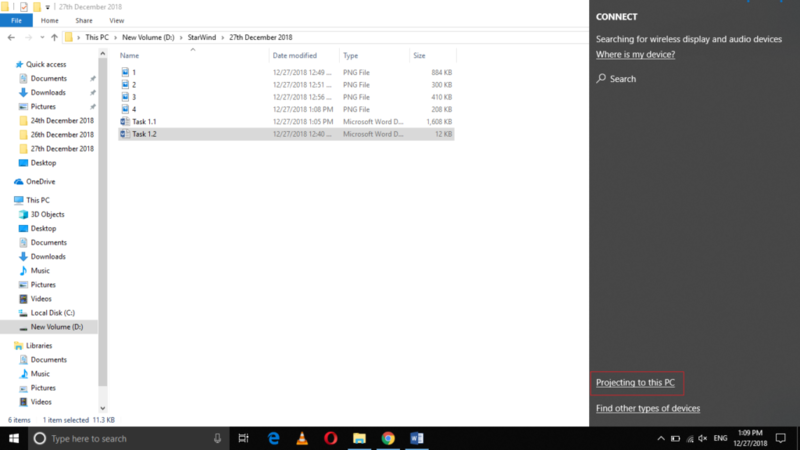 Now click on the Connect tile as highlighted in the image shown above. Now click on the dropdown list corresponding to the field saying, “Some Windows and Android devices can project to this PC when you say it is OK” in order to expand it as highlighted in the image shown above. Select any desired option from this dropdown list. After configuring all the settings, a confirmation dialogue box will appear on your screen. Click on the Yes button from this dialogue box in order to continue. 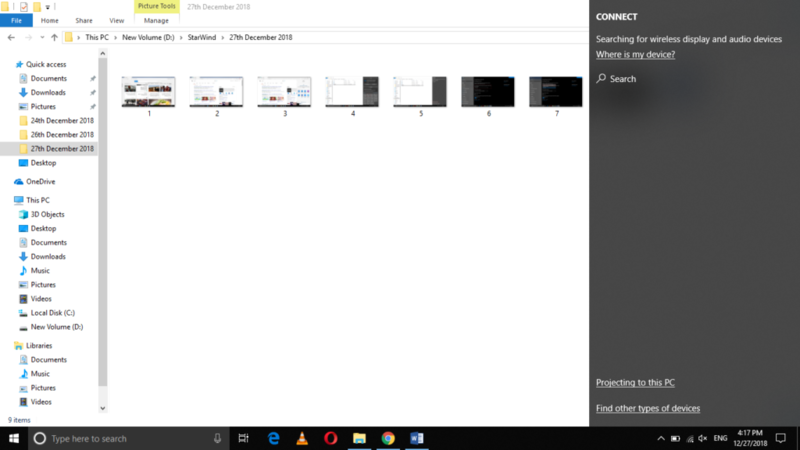 Click on the Connect tile from the Action Center as highlighted in the image shown above. 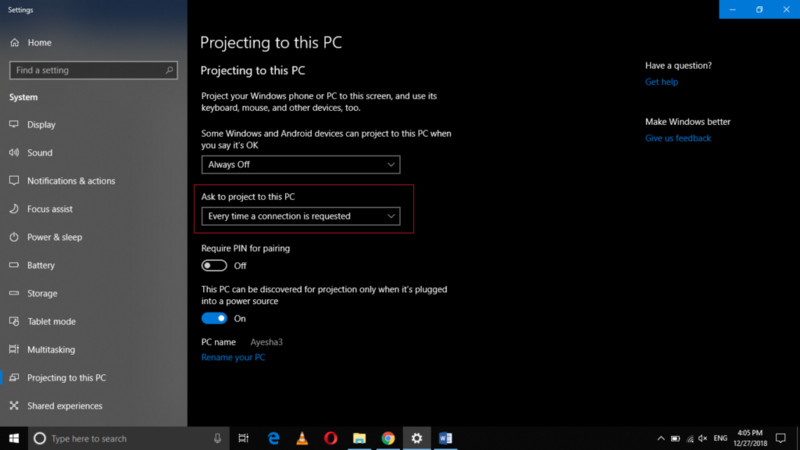 As soon as your other Windows 10 device appears on the list, just select it by clicking on it and then click on the checkbox corresponding to the field saying, “Allow input from a keyboard or mouse connected to this display”. Finally, click on the link saying, “Change Projection Mode” and then select the Extend mode from the list. 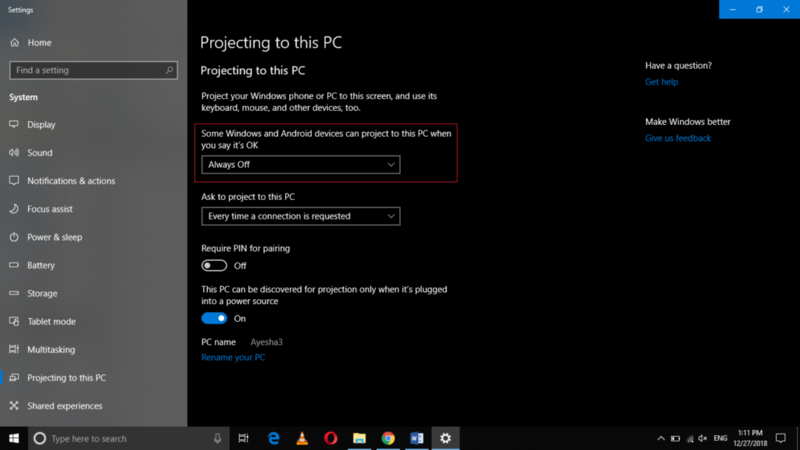 In this way, you can easily configure your two Windows 10 devices in such a way that one of them works as a wireless display and the other one can send commands to it in order to operate. 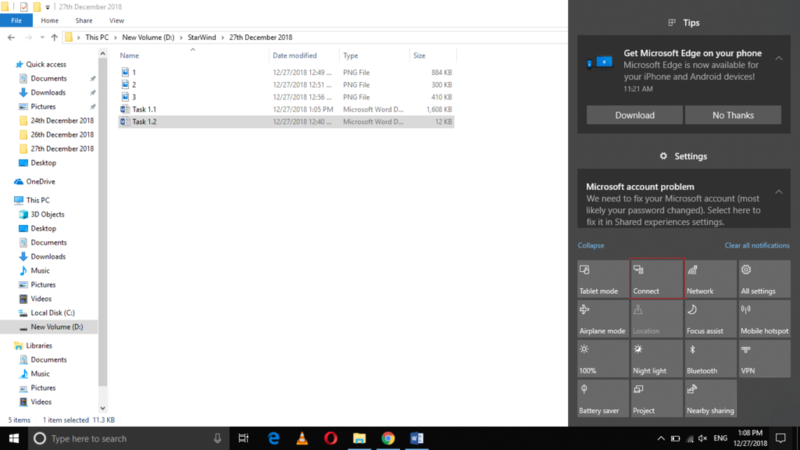 This method is very easy and you can conveniently use your Windows 10 PC as a wireless display by following it.